The last couple of weeks have been different compared to the normal ones (last week there was the Islamic New Year, before that was the exam week and before that the mid term break). That's why there haven't been neither workshops nor excursions almost for one month. 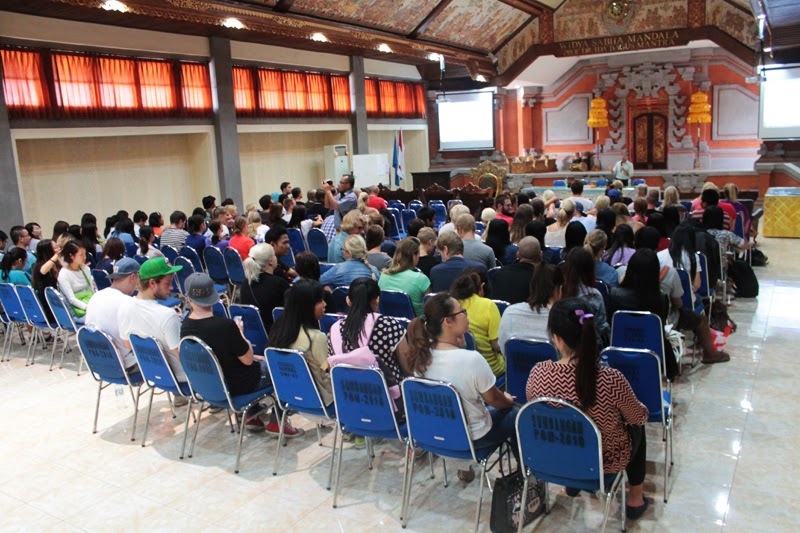 Luckily today the students finally had again chance to learn something new about the local culture when the workshop about Balinese manuscript was held in Denpasar campus. Besides of Asia Exchange students there were also a lot of local students attending to that workshop so our students once again had a great chance to get to know better with them. Nowadays the Latin script is used in Bali as it is in many parts of the world so you don't have to study new alphabeths when you arrive here. 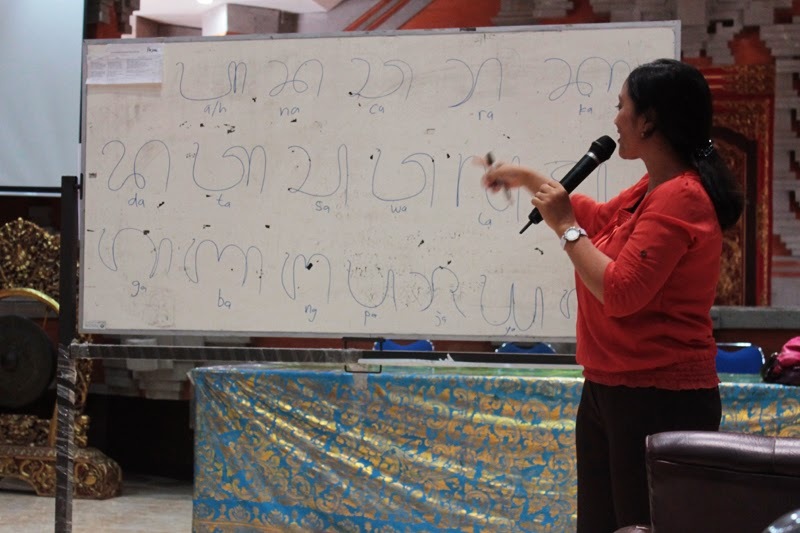 This makes Indonesian language classes a lot easier because students don't have to spend the first students with learning the alphabethics. Still it's important to know that there has been and actually still is an own alphabet in the island of Bali. It's used when writing Balinese, which is different language than Indonesian. Actually almost every significant island in Indonesian has its own language but Indonesian is the language that practically everybody understands.